Abacos Map with facilities and attractions. Airgate Aviation; 242-365-9137; 386-478-0600. Serves New Smyrna Beach, Daytona Beach, St. Augustine, Bimin, Marsh Harbour, Treasure Cay. Continental Connection; 242-365-8615; 1-800-231-0856. Offers daily flights from Treasure Cay and Marsh Harbour to Fort Lauderdale and West Palm Beach. Locair; 242-365-8945; 1-800-205-0730 (US). Service to St. Petersburg-Tampa Bay; Orlando & Palm Beach (April 2010). Regional Air; 242-367-0446; info@regionalair.com. Daily scheduled flights to Freeport from Marsh Harbour & Treasure Cay. Yellow Air Taxi; 242-365-8522. Marsh Harbour and Treasure Cay to Fort Lauderdale. The Treasure Cay Marina has an anchorage on its approach. The basin has good sand for holding and on 20 April 09 held 19 boats. There is a $10/day anchoring fee payable at the marina office. This enables access to the marina’s resort facilities. Abaco Island Tours; 242-375-8718. Produces a great free color graphic map showing the major attractions of the Abacos. Cafe La Florance; 242-365-8354 Breads, pastries, muffins, cookies baked fresh daily. Royal Bank of Canada; 242-365-8119. ATM. Located near the marina office and business service area. Bristol Wines & Spirits; 242-365-8611; info@bristolbahamas.com Monday - Saturday; 0900 -1800. C&C Charters Island Hopping; 242-365-8582. J I C Boat Rentals; 242-365-8582. Treasure Cay Hotel Resort & Marina; 242-365-8250. 242-365-8000; Fax: 242-365-8480. Office is located near the marina office and business service area. Cornish Car Rental; 242-365-8623. Airport. Treasure Cay Airport Car Rental; 242-365-8961. Triple 'J' Car Rental; 242-365-8761. There is good service in the area. Customs; 242-365-8602. 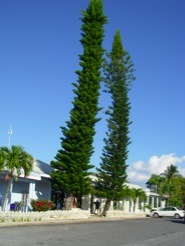 Located at Treasure Cay Airport. Located on face dock in front of marina office. Treasure Cay Emergency Services Organization. Carey McKenzie; 242-365-8313. Bonefishing guide. Ed Newell; 242-365-8749. Bonefishing guide. Treasure Cay Marina; 242-365-8250; Texaco StarPort with diesel and gas; fuel dock for is on N side along the entrance channel. Treasure Cay Fuel Station; 242-365-8869. Blue Marlin Golf Cart Rentals; 242-365-8687. Cash's Cart Rental; 242-365-8711; cashscarts@yahoo.com. G&M Variety Store; 242-475-0638. Daily; 0700-2100. Golden Harvest Supermarket; 242-365-8350. Monday - Saturday; 0800-1800. CC: This is one of the best stocked supermarkets in the Bahamas and it is a very short walk from the marina dinghy dock. Russel Dry Goods & Grocery; 242-365-2075. Crown Haven. Solomons Friendly Food Mart; 242-365-8350. Treasure Cay Home Center and hardware store is located near the marina office and business service area. Available at marina fuel pier. Cafe La Florance; 242-365-8354 Cafe and ice cream parlour. CC: Strong WiFi in the harbor. Treasure Cay Marina provides free wifi to patrons. Use Treasure Cay1 or Treasure Cay2 and agree to conditions. A laundry is located near the marina office and business service area. Spring City Convenience & Laundromats; 242-367-7074. Treasure Cay / Rose Mary Roberts Library; 242-365-8338. Monday - Friday 1500-1700. Bahama Beach Club Resort; 242-356-8500; 1-800-563-0014 (US). Island Dreams; 242-365-8507 / 8777; islanddreamsrentals@yahoo.com. Treasure Cay Hotel Resort & Marina; 242-365-8250 & 800-327-1584 (US); info@treasurecay.com. Treasure Cay Hotel Resort & Marina; VHF Ch-16; 242-365-8250 / 8535; 800-327-1584 (US); info@treasurecay.com. 150 slips; pool; tennis; watersports. Corbett Medical Center; 242-365-8288. John G. Shedd MD. CC: Dec 10: only 3 private moorings in the basin. CC: Saw 6.4' at two spots at 1100 hrs 4 Dec 10; local low tide: 1310. Russell's Fashion & Eve's Nail Salon; 242-367-3244. Bahama Beach Club Resort; 242-356-8500; 1-800-563-0014 (US). Luxury condominiums; 2, 3, 4 & 5 bedroom beachfront rentals. Sandbank Landing; 242-356-8752; infor@abacoestateservices.com. New planned community under construction with marina, hotel, tennis, spa, pool, restaurant at N end of Treasure Cay beach. Treasure Cay Hotel Resort & Marina; 242-365-8801 / 8250 / 8950 & 800-327-1584 (US); 954-525-7711; info@treasurecay.com; VHF Ch-16. 150 slip marina; pool; tennis; watersports; golf course; beach. Beach bar and restaurant located at beach facing the “Whale”. Cafe La Florance; 242-365-8354 Light snacks & lunch. R & R Restaurant & Bar; 242-365-8438. Touch of Class Restaurant & Bar; 242-365-8195. Top-A-Da Bay Cafe; 242-365-2423. Crown Haven. Treasure Cay Hotel Coco Beach Bar; 242-365-8470. Treasure Cay Hotel Tipsy Seagull Bar; 242-365-8801. Treasure Cay Spinnaker Restaurant & Bar; 242-365-8231 / 8469. Restaurant & Bar located near Treasure Cay Marina office. Treasure Sands Club; 242-365-9385. Open seven days a week serving lunch and dinner on Treasure Cay Beach. Abaco Ceramics; 242-365-8489. Kiln and store just outside the gates of Treasure Cay. G J's Footware & Accessories; 242-365-8982. R & R Discount Drugs / Beauty Supplies; 242-365-8692. The Harbour Shoppe / The Marina Shoppe; 242-365-8757. Treasure Cay Airport Gift Shop; 242-365-8961. T & R Electronics; 242-365-8742. Treasure Divers; 242-365-8571 / 8465. Drexel & Manuletha Bootle; 242-365-8397; 242-475-7238; 242-375-9876 /8391. Abaco Adventures; 242-365-8749; abacossie@gmail.com Kayak tours. Beach; beautiful crescent beach; beach bar and restaurant. Buddy's Abaco Adventure on Prozac; 242-365- 8749, 242-375-8123. Boating excisions to Mon-o-War, Great Guana, Hope Town. J I C Boat Rentals; 242-365-8582. Island hopping; island picnics. Treasure Cay area & Abaco map of attractions. Treasure Cay Golf Course / Pro Shop; 242-365-8045 / 8801. 18-hole course. Trash disposal bins are provided on the dinghy dock for trash in plastic bags. RO water is available at the marina for a fee.